The debut film of Canadian director Larysa Kondracki, The Whistleblower, is the true story of Kathryn Bolkovac (Rachel Weisz), an American police officer who musters the gumption to expose a human trafficking racket in post-war Bosnia in which an American military contractor and the United Nations are involved. The film is based on the book by Bolkovac, who went to Bosnia in 1999 and later revealed the shocking details of this scandal to the British media. I don’t know how much the film-maker sticks to the real account of the hell Kathryn saw unfold. But this is a stark, black and white world, where events collide just to facilitate Kathryn’s heroism. Throughout the film, she is immune to any kind of danger. There are no complications implicit in a racket of this proportion. So the writing, by Kondracki and Eilis Kirwan, while it takes a high moral position, does not achieve complexity and adequate focus. The earnestness, and the need to make Kathryn a hero who can beat all odds, overwhelms everything else. The film-maker’s point of view verges on the naive. She also has many characters, mostly men, whom she can’t develop at all. The film was shot in Romania, and there is no sense of the country the story is set in. 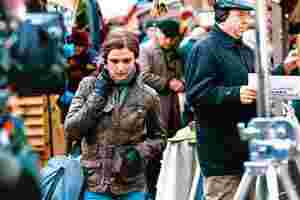 But despite the one-dimensional canvas, the lead performance by Weisz stands out. She makes the transition from flirty to stubborn and dead serious easily. Indeed, the fearless Kathryn Bolkovac is an important woman character on screen. 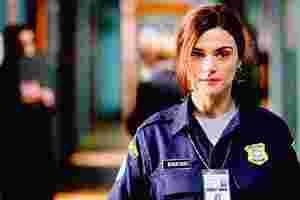 Weisz’s performance and the story’s inherent darkness and brutality, and the fact that they are based on real people and events, makes The Whistleblower worth a watch. The Whistleblower released in theatres on Friday.